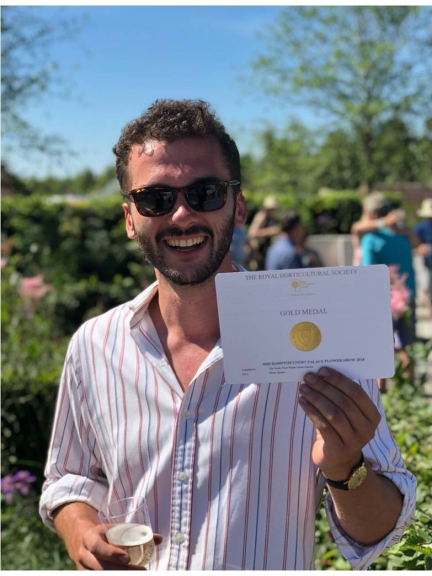 Devon garden designer Tom Simpson has struck gold with his first show garden supported by South West Water at the first day of the Hampton Court Palace Flower Show yesterday (Monday 3 July). The South West Water Green Garden showcases attributes of a sustainable rain garden, treating water as a precious resource and demonstrating how outdoor spaces of any size can be used to mitigate flooding and manage excess rainwater. It was awarded a gold medal by judges at the prestigious event. The design features a large raised bowl of water surrounded by curved hedging, a mini-rain garden or swale, and a swirl of flood tolerant plants, underpinned by sweeping drifts of free-draining gravel to create a permeable surface. Tom, aged 28, from Kingswear, near Dartmouth, said: “After a huge effort to get the garden ready, it’s a fantastic feeling to see it all come together. I’m thrilled to have received such fantastic feedback from the public and judges who have loved the ambition of the design, thought process and message of sustainability. “I’m elated to have received a gold award. The South West Water Green Garden encourages communities and residents to think about the sustainable management of water in our gardens and wider urban environment to reduce flood risk. Alan Hyde, South West Water’s Head of Community Relations, added: “It’s an honour to support home-grown talent and see the garden come to life this week; Tom has done an exceptional job. “The garden captures the essence of our Downstream Thinking initiative, which involves working with nature to protect homes and public spaces from flooding, creating more resilient communities. The RHS Hampton Court Palace Flower Show, which takes place during 3 – 8 July 2018, will see 140,000 people visit this year including many from the South West, and is the world’s largest annual flower show. 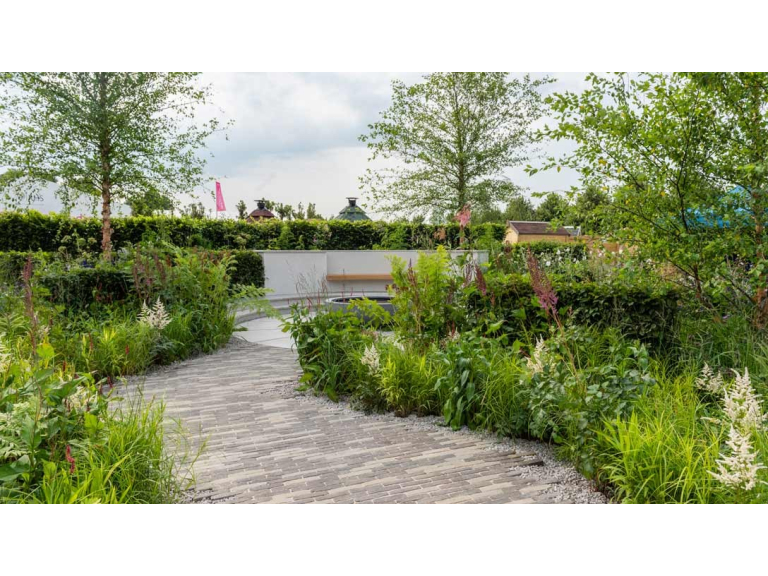 After the Show, The South West Water Green Garden will be recycled and relocated to Exeter to become part of a landscaped area outside the company’s head office on Rydon Lane, demonstrating the benefits of Sustainable Drainage Systems and effective rainwater management.